On 31st January 2018, I came to Versova suburb from Mumbai town to meet my friend. It was night at about 11 PM, when my attention went to loud noise of band (local music band) coming from nearby. 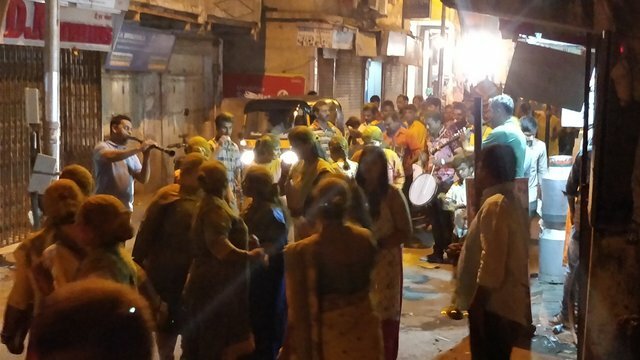 I was not surprise with sudden disruption of calm night in Versova. I have been many times there and it always amazes me in every visit. You wouldn't believe unless you see this place, I am talking about an unique culture of native people from there. And It is at the center of Mumbai. Versova Village always fascinates thinkers and artist. 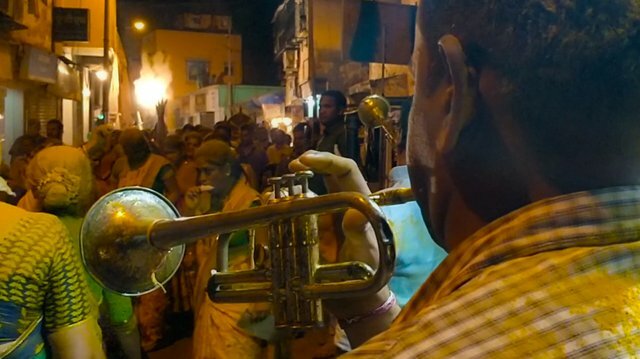 In Mumbai after 11 PM any kind of public or private loud sound is not allowed. 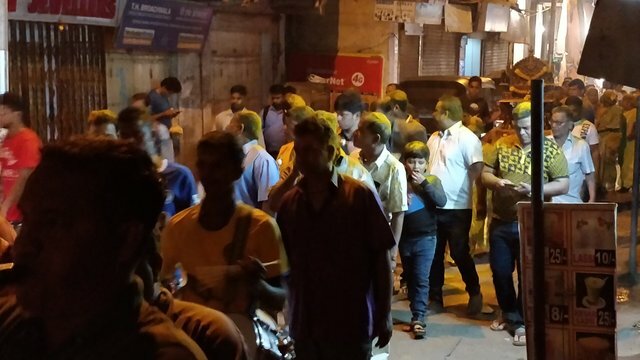 Even during IPL cricket matches, ground cometary stops after 11 PM. But here at this place, this rules doesn't seem to apply. I mean to say that they are part of Mumbai : they are MUMBAIKAR but apart from being Mumbaikar they are nothing like other people in Mumbai. I think you got the gist. So When I heard loud noise, I was with my friend. My friend decided to go there to quench this curiosity. Yes, he is kind of arty wonderer type guy. I accompanied him. And when we reach, we saw golden color every where. Everywhere means every where - In the air, on the road, all over the body of people gathered there. 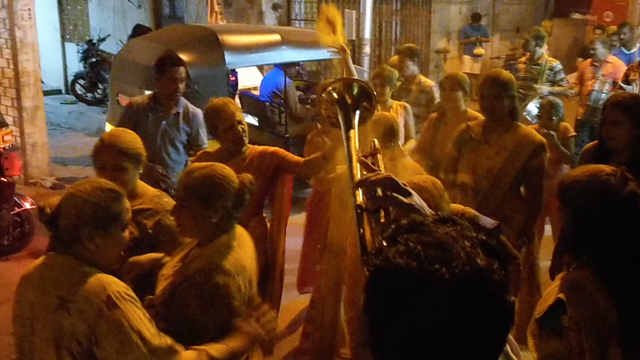 It is yearly cultural ritual of native people of Versova. Gathering was heading in the direction of heart of village (probably towards beach). 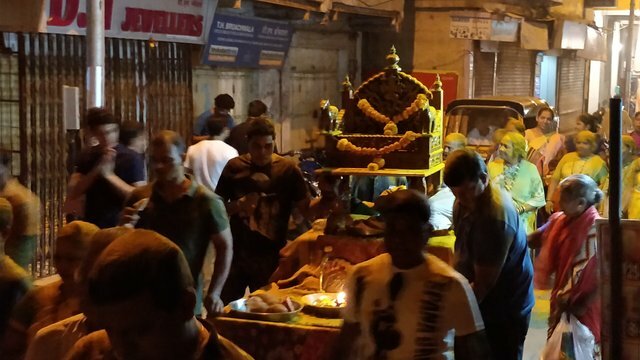 At the front there was band party (local musicians) playing instruments loudly, followed by women, girls, followed by men in group with a cart with deity of local God. 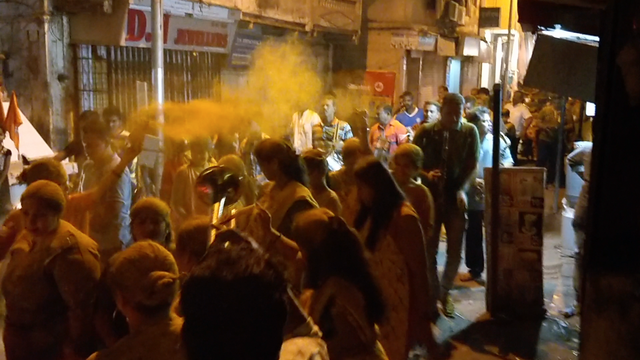 All of them were dancing and throwing golden turmeric powder in the air just like colors in Holi festival. 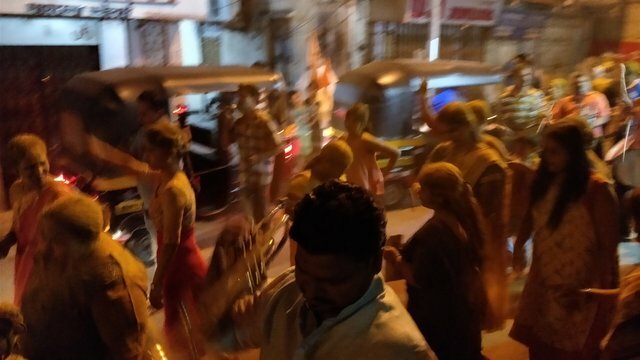 After some digging around, I came to know that people of Versova were celebrating Somvati Utsav Festival. The Great Turmeric Festival Of Maharashtra takes place on Somvati Amavasya- a new moon day. All the pictures are captured by me using mobile ONE PLUS 5 camera. Upvoted on behalf of the dropahead Curation Team! Thanks for following the rules. DISCLAIMER: dropahead Curation Team does not necessarily share opinions expressed in this article, but find author's effort and/or contribution deserves better reward and visibility. Upvote the latest dropahead Daily Report! to maximize your curation rewards! Do the above and we'll have more STEEM POWER to give YOU bigger rewards next time!